Matt shares his passion for guiding in, and writing about, the Virginia outdoors. We also discuss the origins and design philosophy of Reilly Rod Crafters. In this episode, I chat with Beau Beasley, outdoor writer and event promoter, about the basics of hunting and fishing access in the United States. Beau Beasley gives us the lowdown on this weekend’s (March 23 and 24) Texas Fly Fishing & Brew Festival in Plano, Texas. For more information and to purchase your tickets, visit the Festival’s website. In this episode, I chat with Brian Hester of Hooked Fly Company about his fly fishing journey on and off the canvas. Be sure to listen carefully for Brian’s special offer for Articulate Fly listeners! In this episode, I chat with soft hackle aficionado, Allen McGee. Allen discusses his influences and how form follows function in all facets of his tying and fishing. Dale Collins of Tuckaseegee Fly Shop updates us on early March conditions in Western North Carolina. In this episode, I chat with Dale Collins, co-owner of Tuckaseegee Fly Shop. We discuss the start of his fly fishing career as an undergrad at Western Carolina University, the opening of Tuckaseegee Fly Shop and everything in between! Dale Collins of Tuckaseegee Fly Shop shares his tips and tricks to be successful on his home waters in late February. Dave and I discuss all things past, present and future SCOF. Gordon Vanderpool (aka the Nantahala Sasquatch) of Turning Stones Fly Fishing shares his tips and tricks to be successful on his home waters. In this episode, I chat with Martin Bawden, founder of Flymen Fishing Company and Kona USA. We discuss how his early passion for fly tying led to the creation of Flymen and its evolution over the last decade. We also talk about Flymen’s recent move to Charleston and the launch of Kona. 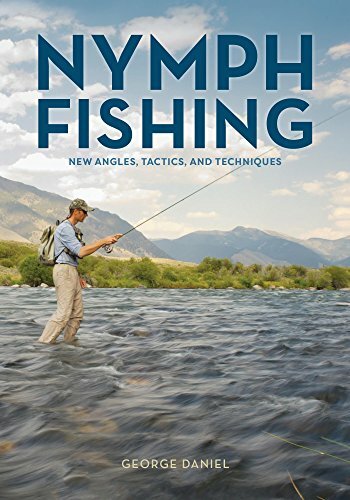 In this episode, I chat with Paul Bourcq, owner of Drift Media Productions and former head coach of the US Youth Fly Fishing Team. From his humble beginnings fishing at a Western NC trout farm to coaching the US Youth Fly Fishing Team to five consecutive medals, we cover it all! From Day Two of the Virginia Fly Fishing & Wine Festival, Rick Pope of Temple Fork Outfitters joined me to share his passion for the outdoors and to discuss the past, present and future of Temple Fork Outfitters. From Day One of the Virginia Fly Fishing & Wine Festival, Cory Routh of Ruthless Outdoor Adventures and Seigler Reels joined me to share his passion for fly fishing, education and storytelling. In this episode, I chat with Matt Supinski, Michigan guide, outdoor writer and owner of Gray Drake Lodge & Outfitters. From his early days fishing with his Dad to his newest book, Nexus, Matt shares his obsession with all things Salmo. In this episode, I chat with Beau Beasley, outdoor writer and Festival Director of the Virginia Fly Fishing & Wine Festival. From fishing with his Dad to his career as an outdoor writer and event promoter, Beau shares his passion for fly fishing and serving others. Listen carefully! Santa left a special gift for folks planning to attend Beau’s event in Virginia. Don’t wait! It won’t last forever. 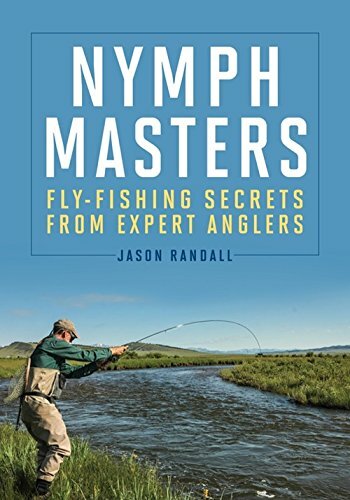 In this episode, I chat with Jason Randall about his journey from tournament bass fisherman to accomplished fly angler, author and Temple Fork Outfitters rod designer. Along the way, we discuss the importance of mentors, circumlocution and all things nymphing. In this episode, I chat with Gordon Vanderpool about his journey from three-year-old bluegill angler to full-time fishing guide and Southeast Regional Coach of the US Youth Fly Fishing Team. In this episode, I chat with Capt. Matt Miles about his journey West, return home and recent travels to the Amazon. In this episode, I chat with my buddy, Tucker Horne, about fishing with dough balls and Rooster Tails and everything US Youth Fly Fishing Team. In this episode, I am joined by my friend, Alen Baker, the Founder and Chairman of the Board of the Fly Fishing Museum of the Southern Appalachians in Bryson City, North Carolina. We have just launched our website and our first episode will drop soon!